May 11, 2017 (NEW YORK, NY) — Baird, an international wealth management, capital markets, private equity and asset management firm, has announced its selection of CAIS as the enterprise alternative investment platform for its financial advisors. Established in 1919, Baird has more than 3,400 associates serving the needs of individual, corporate, institutional and municipal clients, and has more than $170 billion in client assets under management. Founded in 2009, CAIS is the leading open-architecture alternative investment product platform offering wealth management professionals a complete end-to-end solution comprised of fund access, independent research and due diligence, execution and ongoing support. The advisor-friendly dashboard facilitates seamless access to a diversified menu of hedge funds, private equity funds, credit/distressed strategies and real estate funds which are all available at lower investment minimums. Upon selecting a fund, the investment experience is streamlined through the use of existing investor profiles as well as an automated subscription process and integrated custodial reporting. All funds are required to undergo independent due diligence by Mercer and summary reports and ratings are made available on the platform to all advisor members. CAIS’s dynamic fintech platform enables leading wealth management firms to enjoy direct integration between their enterprise portals and the CAIS platform, allowing their advisors to access CAIS as easily as their employee benefits information. Similar integrations with major wealth management custodians and reporting platforms offer advisors the ease of use they seek when engaging with the multiple systems they rely upon to serve their clients. CAIS currently has approximately 600 unique advisors/firms transacting on the platform, and several thousand more approved to transact. The growth in CAIS’s transaction volume is mirrored by the diversity of firms now using the platform across the spectrum of registered investment advisors (RIAs) and independent broker-dealers (IBDs). In fact, the first quarter of 2017 broke several records for CAIS, including the largest number of both first-time and aggregate unique advisor/firms purchasing a fund or product in a single quarter. “Expanding our network of advisors benefits all CAIS members, as it allows us to attract top-tier funds, improve our technology platform and enhance the overall advisor experience”, said Matt Brown, CAIS Founder and CEO. “Advisors are adopting the CAIS platform and initiating transactions at the fastest rate since our inception. It’s clear that the flywheel effect is kicking in,” continued Brown. CAIS remains committed to harnessing the full array of its distribution and technical capabilities for the entire independent wealth channel, benefiting RIAs, independent broker-dealers and product providers alike. Baird is an employee-owned, international wealth management, capital markets, private equity and asset management firm with offices in the United States, Europe and Asia. Established in 1919, Baird has more than 3,400 associates serving the needs of individual, corporate, institutional and municipal clients. Baird has $171 billion in client assets. Committed to being a great place to work, Baird ranked No. 4 on FORTUNE’s 100 Best Companies to Work For in 2017 – its 14th consecutive year on the list. Baird is the marketing name of Baird Financial Group. Baird’s principal operating subsidiaries are Robert W. Baird & Co. in the United States and Robert W. Baird Group Ltd. in Europe. Baird also has an operating subsidiary in Asia supporting Baird’s investment banking and private equity operations. For more information, please visit Baird’s Web site at https://www.rwbaird.com. 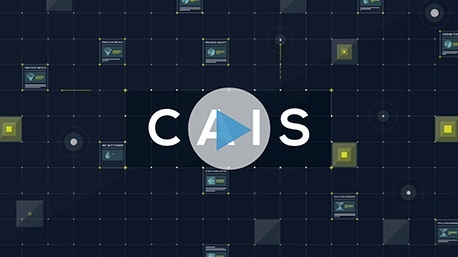 CAIS is the leading open-architecture financial product platform offering independent wealth management professionals access to a diversified menu of funds and products. CAIS provides streamlined execution to an expanding list of alternative investment funds, IPOs and follow-ons, structured notes and real assets. CAIS delivers a suite of portfolio construction and reporting tools, and complements its fund offering with independent due diligence provided by Mercer. CAIS Capital LLC is a registered broker-dealer, member FINRA, SIPC.